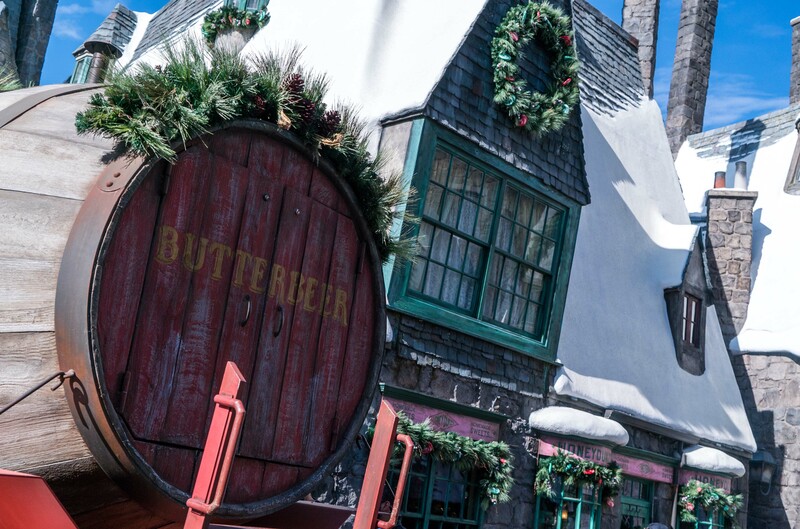 Christmas in The Wizarding World of Harry Potter Arrives in Hollywood! 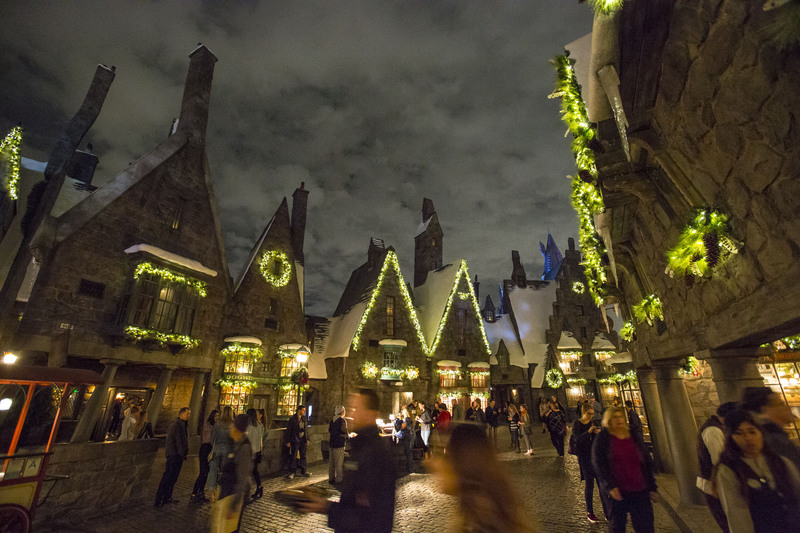 The Wizarding World of Harry Potter is a shining beacon of artistry in the theme park community. It’s stunning architecture and wonderful personality lends itself to creating a truly immersive environment. 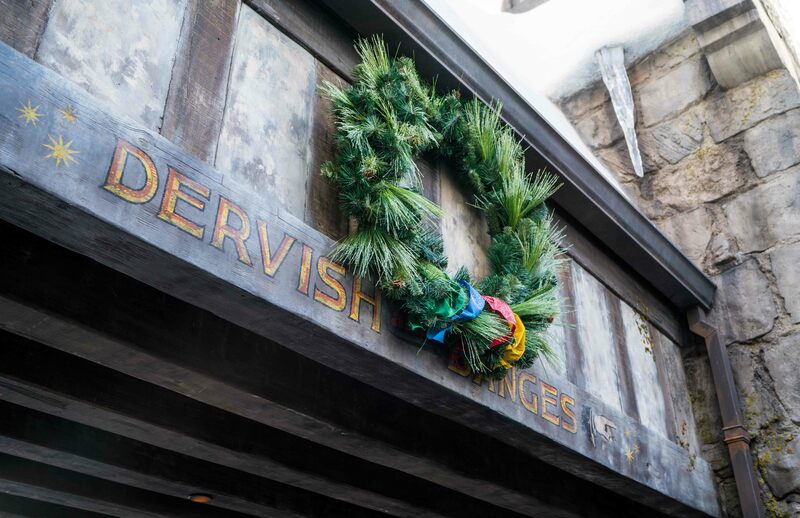 Even better, now Universal will help you celebrate the Holiday season in the best Wizarding way possible. 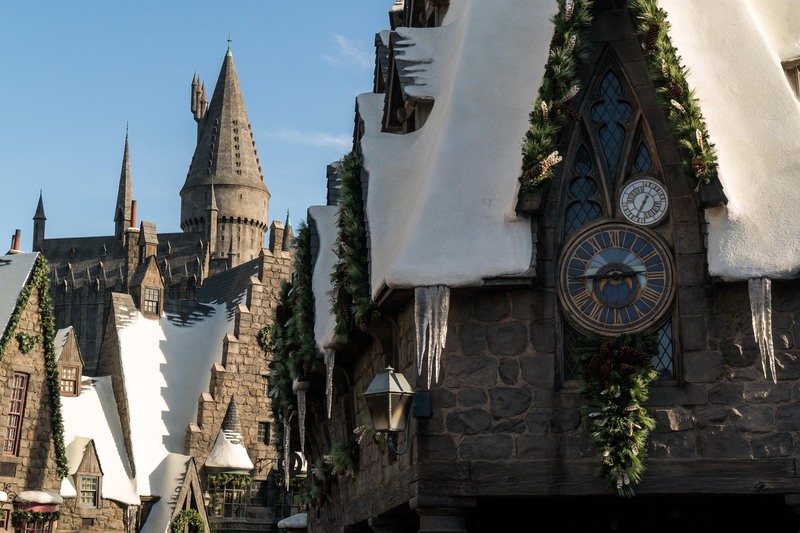 The all new Christmas in The Wizarding World of Harry Potter arrives in Hollywood! 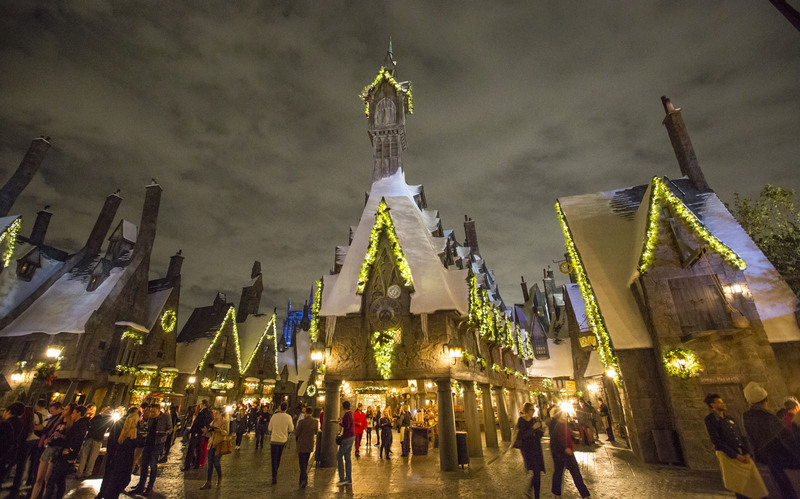 What better way to get into the Holiday spirit than grabbing a warm butter beer, a nice plate full of holiday treats and seeing an incredible light show upon Hogwarts Castle! 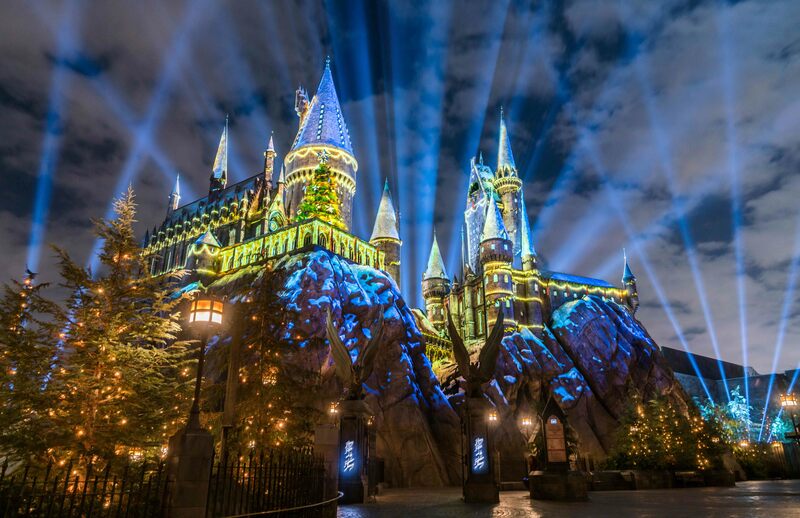 If you weren’t sold already, below are the major details of the event and what await you when you hop on your Nimbus 2000 and make it over to Universal Studios Hollywood! 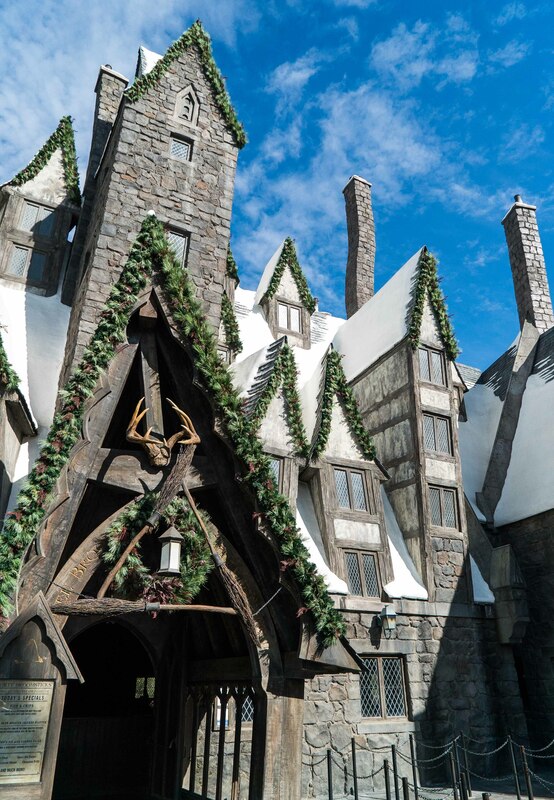 Universal Studios Hollywood celebrated the opening of “Christmas in The Wizarding World of Harry PotterTM,” transforming HogwartsTM castle with a breathtaking animated light projection show, choreographed to a musical arrangement from the Harry Potter movies as The Entertainment Capital of L.A. kicked off the yuletide season. 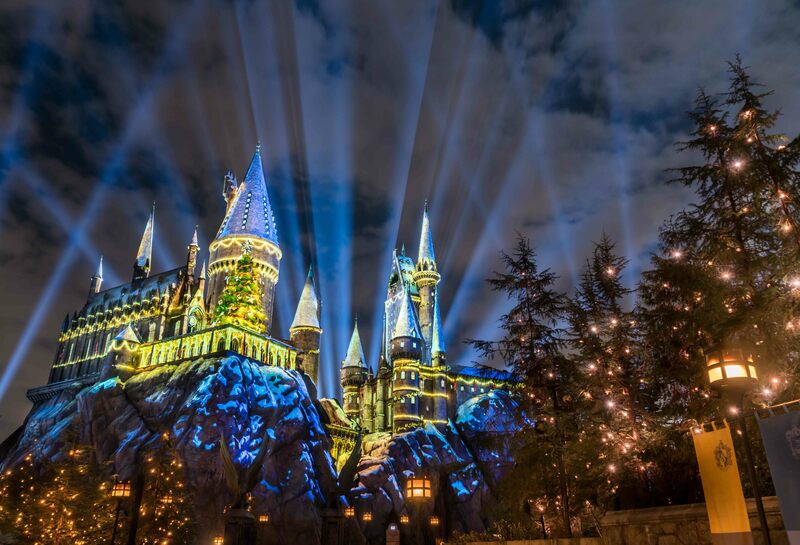 “The Magic of Christmas at Hogwarts Castle” light projection spectacular as part of “Christmas in The Wizarding World of Harry Potter” at Universal Studios Hollywood. 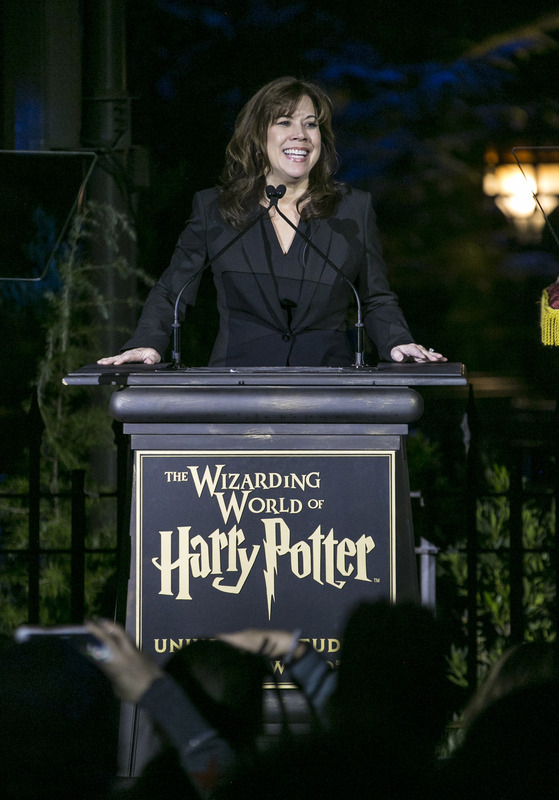 The evening program introduced Karen Irwin, President & COO, Universal Studios Hollywood, as she welcomed the land’s new holiday festivities. Karen Irwin (President and C.O.O.) 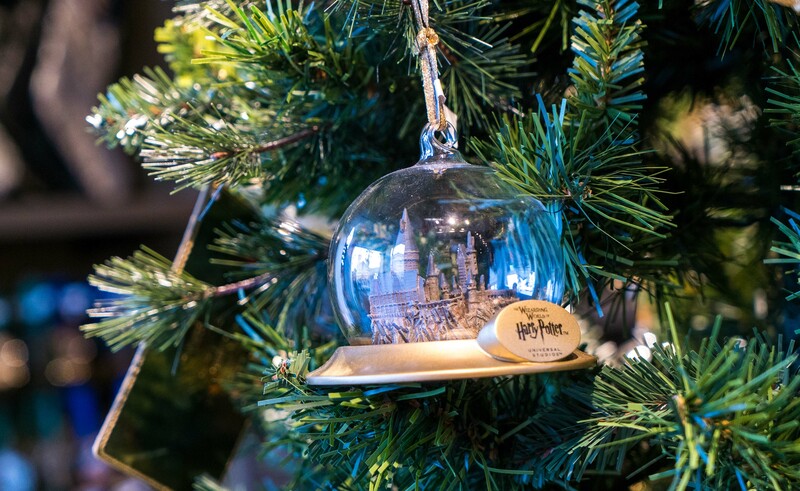 at the “Chrstmas in the Wizarding World of Harry Potter” press event at Universal Studios Hollywood on November 16, 2017. 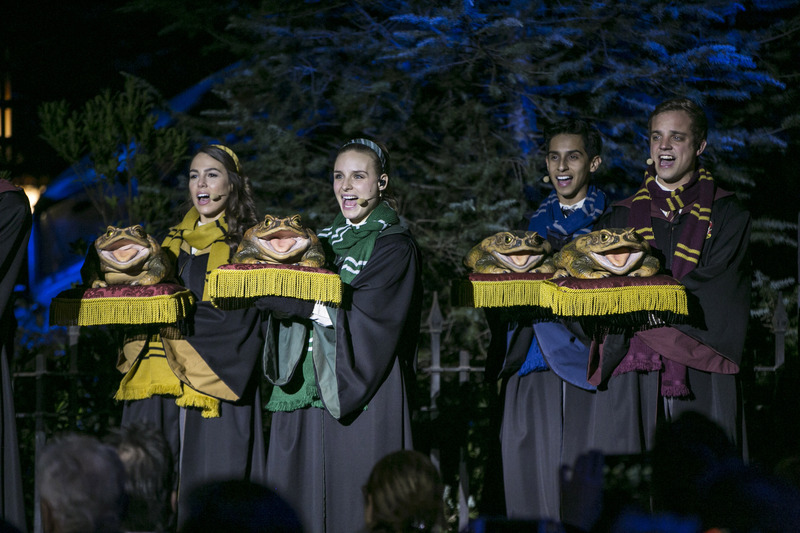 The Frog Choir at the “Chrstmas in the Wizarding World of Harry Potter” press event at Universal Studios Hollywood on November 16, 2017. 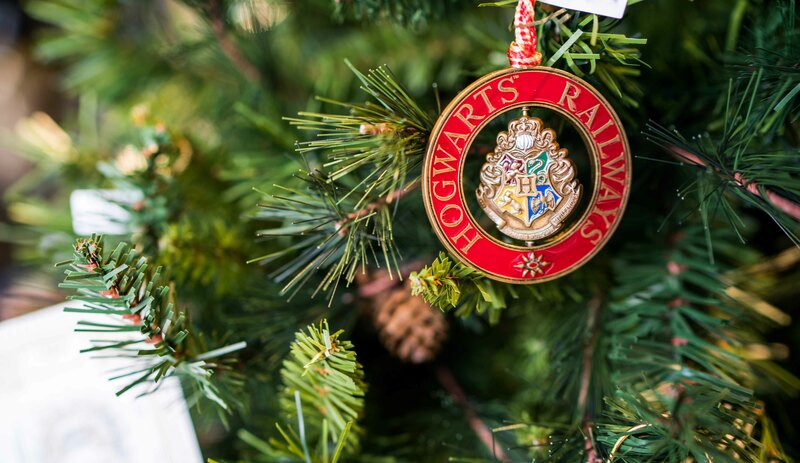 The all-new “Christmas in The Wizarding World of Harry Potter” experience will take place daily from November 24, 2017 through January 7, 2018. 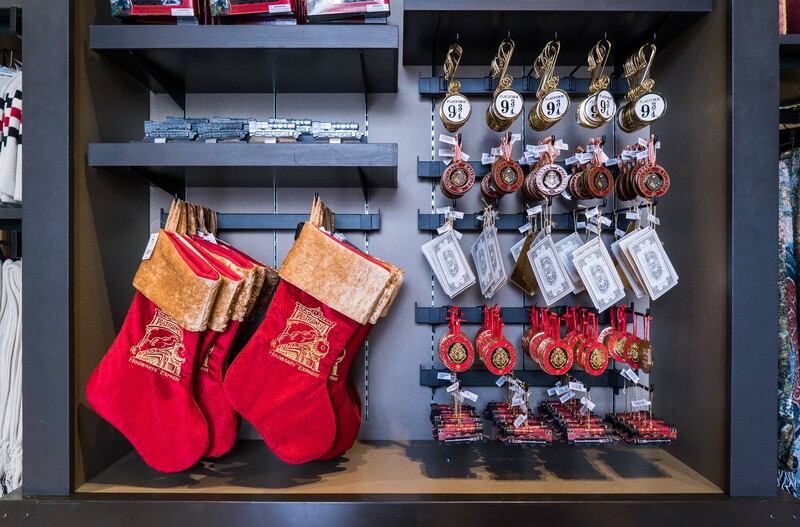 “Christmas in The Wizarding World of Harry Potter” decor at Universal Studios Hollywood. 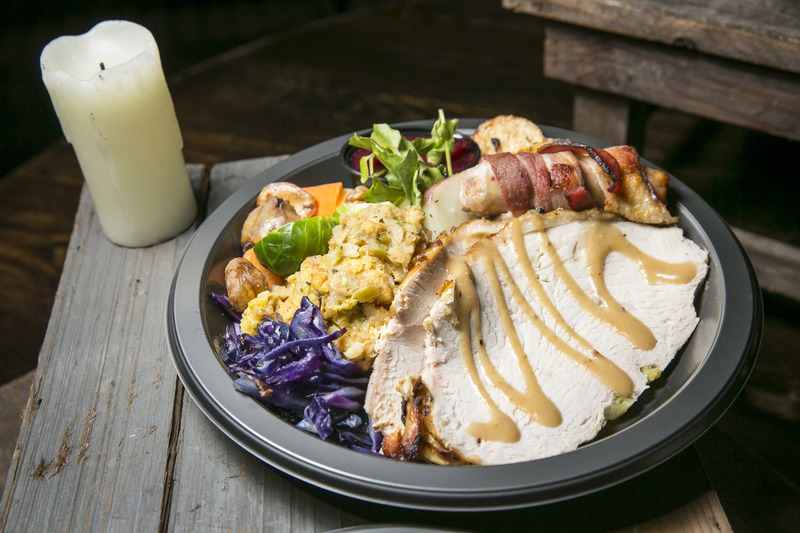 Holiday fare served at Three Broomsticks for “Chrstmas in the Wizarding World of Harry Potter” at Universal Studios Hollywood.